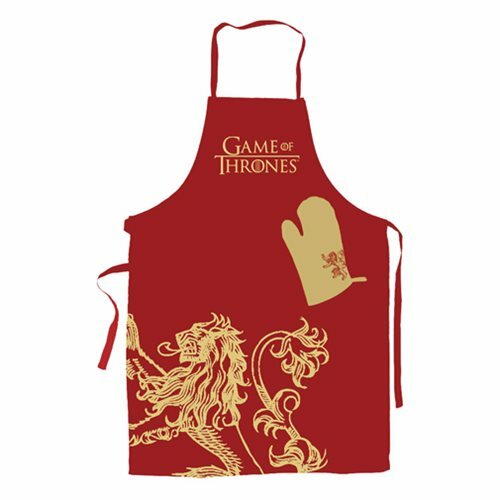 If you like cooking hot, this Lannister Apron and Oven Mitt Set is perfect for you. This set Includes oven gloves bearing the sigil of the noble house as well as the apron. Wage war in the kitchen with this Game of Thrones Lannister Apron and Oven Mitt Set!